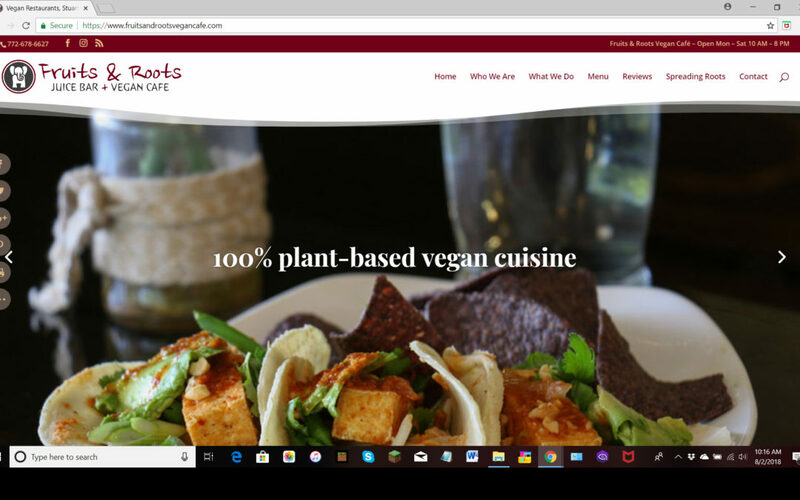 We are beyond stoked to present our latest website project for our good friends at Fruits & Roots Vegan Café. A fantastic team effort with photo support by Beach Nuts Photography, we explore the essence of authentic vegan cuisine and the inspirations that drive the talented team at this unique dining establishment. You’ll find a complete vegan menu punctuated with vibrant photos, along with an informative blog sharing important information that affects our health and the way we interact with the world. Take a taste at www.fruitsandrootsvegancafe.com.